Get $10 off of a service call when you mention this on our website!! Not good with any other offers. We have a complete staff of professional licensed plumbing and mechanical installers, as well as service technicians. There is a secretary in the office from 8:00 a.m. - 4:30 p.m., Monday through Friday to answer all calls. 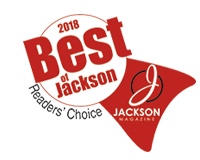 Brooklyn Plumbing, Heating & A/C currently services Jackson, Lenawee, Hillsdale and portions of Washtenaw, including: Addison, Adrian, Albion, Blissfield, Brooklyn, Cement City, Chelsea - portions, Clarklake, Clinton, Concord, Grass Lake, Hanover, Hillsdale, Homer, Horton, Hudson, Jackson, Jerome, Jonesville, Leslie, Manchester, Manitou Beach, Michigan Center, Morenci, Moscow, Mosherville, Munith, Napoleon, North Adams, Norvell, Onsted, Parma, Pleasant Lake, Rives Junction, Somerset, Somerset Center, Spring Arbor, Springport, Stockbridge, Tecumseh, Tipton and Vandercook Lake. © 2019, Brooklyn Plumbing, Heating & A/C. All Rights Reserved.